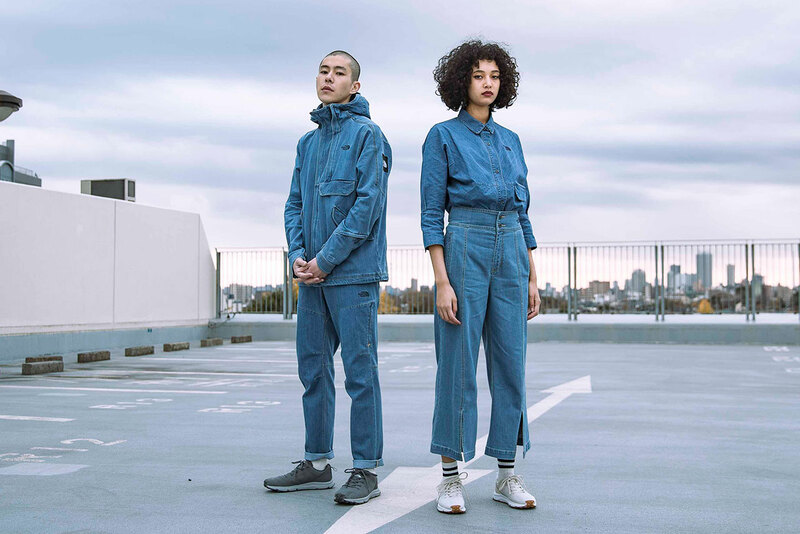 The North Face Urban Exploration follows the clean selection of Spring/Summer 2019 layering pieces with a concise array of Tech Denim gear. Inspired by vintage items, the goods all sport relaxed cuts and washed denim shells, with some subtle technical detailing for maximum functionality. Taking cues from ’90s style, the garments update throwback silhouettes with contemporary craft, with denim textiles interwoven with COOLMAX technology. This grants extra moisture-wicking and breathability to each denim layer, from the short-sleeved shirts to the slouchy dungarees. Plenty of pockets and extra compartments accent the goods, like the vertical zippered pocket on the trucker jacket and matching coin pocket on the denim shorts. Clever darting keeps the five-pocket jeans trim, with a relaxed upper block that exudes retro comfort, a trait that informs the multi-pocketed parka, complete with articulated seams. To break up the full denim looks, the capsule also includes a pair of TNF-branded short-sleeved FlashDry T-shirts, offered in black or white with denim-printed logos at the chest. The Tech Denim goods hit The North Face‘s Urban Exploration stores in Asia, Europe and Williamsburg’s Prototype store, along with select retailers. Take a closer look at select pieces below. Recently, we took a look at Junya Watanabe’s latest seasonal TNF collaboration. Bold and bright character illustrations. The record was produced by TM88, Supah Mario and Victory.